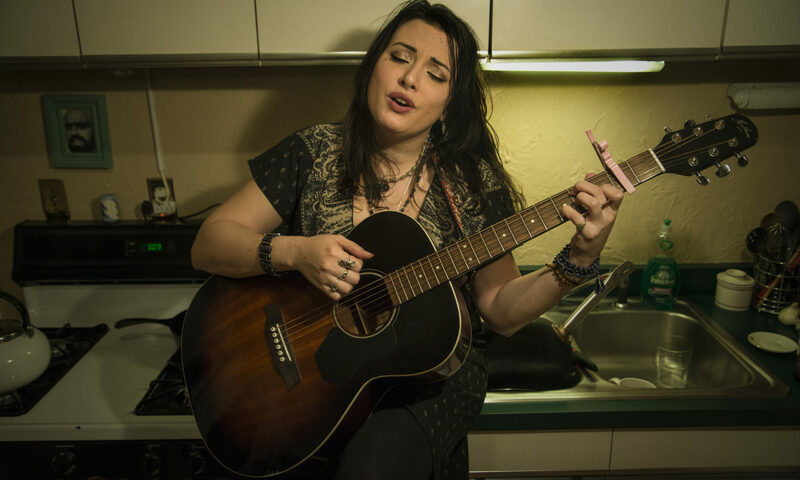 Jen Cintron is a vocalist, song-writer, guitar and ukulele-player, and tarot reader. She was born and raised in Puerto Rico, but has lived in Milwaukee since 2003. A born torch singer, her style has been influenced by the crooners and chanteuses of decades past such as Frank Sinatra, Ella Fitzgerald, Sarah Vaughn, and Edith Piaf; but she is versatile and not limited in the range and genre of her influences and repertoire, spanning from traditional Boleros and Mexican rancheras, through folk icons like Joni Mitchell and Silvio Rodriguez, all the way up to Imogen Heap and Fiona Apple, as well as her own heartfelt original songs. Her repertoire includes songs in English, Spanish, Portuguese and French. Ranging from low and gravely smoke to pure and airy high tones, an exuberant (and maybe tipsy) bandmate once described her voice as “the magnificent voice of the birds and the trees”. She’s the vocalist for American Latin Soul, and hot-club jazz band 4th Street Elevator, as well as performing solo, accompanied by her own guitar and ukulele. She has been featured as a guest vocalist with: The Milwaukee Hot Club, Swing Chevron, The Neil Davis & Steve Peplin Duo, Hot Head Caravan, the Mark Thierfelder Trio, the Anthony Deutsch trio, The Squeezettes, 4-Quinto, Sazerac 5, and the Extra Crispy Brass Band at various clubs and restaurants throughout the Milwaukee Area, as well as being the resident “songstress” for a few Cabaret MKE productions, where she performed as “Sadie Starlight”. To see all my uploaded videos, check out my YouTube Channel! Check back often to find out about booked shows, new YouTube Uploads, and new Music being released!